There are a number of ways you can bring a smile to your mom’s face on Mother’s Day. We’ll be offering lots of advice and ideas here on this website. But for now, we thought we’d concentrate on Mother’s Day jewelry gifts. 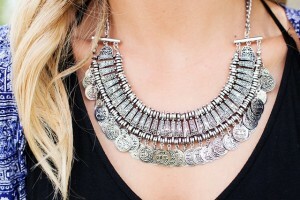 We won’t just look at the variety of options if you’re looking for Mother’s Day jewelry ideas. We’ll also look at the reasons for giving jewellery as a Mother’s Day gift, as well as introduce to some useful information. The item of jewellery has personal meaning, for example love, luck and mourning. It has a functional purpose, such as fixing hair or clothing in place. Or serves to tell the time as in a watch. It can be an indication of some kind of affiliation. Which could be social, religious, or ethnic. As an indication of a person’s social or personal status, as in a wedding ring. For protection, such as amulets. As a display of art. Because it enhances personal appearance. And for those of you reading this, an item of jewellery for your mom on Mother’s Day will bring a tear to her eye, and whenever she wears it she’ll be reminded of you. Shopping for jewelry gifts for Mother’s Day can be fun, but it’s a little difficult without a certain level of understanding. Jewelry terms, sizes, materials, and settings can be a little confusing without some knowledge. Which is why we’re here to help. Armed with these terms you’re almost in the best position to pick the perfect Mother’s Day gift for your precious mom. Just a little more advice to share before you get started. 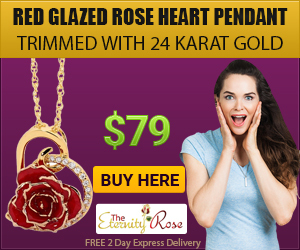 Gemstone jewelry for your mom – Made from precious stones such as rubies, emeralds, sapphires, opals and of course the ladies favorite, diamonds. Pearl jewellery for her – Pearl jewellery will add a certain timeless and classical look to all kinds of outfits. Choose from freshwater or cultured pearls, depending on your budget. Precious metal jewellery – Gold and silver are the most obvious metals, but there is also the option of platinum. As well as a number of other different metals and materials to choose from. Artisan and ethnic jewellery gifts for Mother’s Day – There are a number of online sites where artisans from across the globe can display their creations. Etsy and Pinterest are a couple of examples. Why not have a go at making your own, for that extra special touch of magic? Vintage and antique jewelry – Perhaps your mom would prefer a piece of jewellery with its own story to tell. There are plenty of designers who make reproductions, But you could also choose the ‘real thing’. Necklaces and pendants – Available in a variety of lengths and the perfect way to compliment a dress or shirt. Rings – A woman’s personal style can be reflected in the type of ring she wears. Whether it’s something fashionable, classically simple, or from a bygone era. 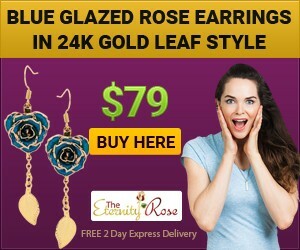 Earrings – You can accentuate a person’s features with the right style of earring. Simple stud earrings, hoops, or dangle earrings will accent an outfit as well. Bracelets – Bangles, beads, charms bracelets and much more besides. Or why not make a statement with a band? Brooches and pins – These can dress up the plainest of outfits, or you can turn a brooch into a shimmering hair ornament. Before we finish let’s give you a few examples of the fabulous Mother’s Day jewelry gifts available. Stud earrings – Choose a pair of understated stud earrings or dazzle her with a pair made using diamonds. Pearl necklace – Pearls never seem to go out of fashion. Much more affordable nowadays with cultured pearls as an option. But if you really want to push the boat out choose freshwater pearls. Eternity ring – A timeless and elegant gift for your mom, that can include her favorite precious stone. 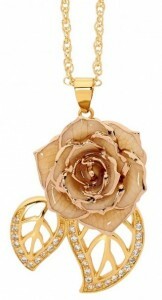 Rose petal necklace – Crafted from miniature rose petals, glazed and trimmed with the finest 24 karat gold. Charm bracelet – Charm bracelets are perfect for a Mother’s Day gift as they can personalized by choosing charms with special meaning for the wearer. We hope the way is now paved for you to start your gift choosing. If you’re still a little unsure then stay tuned for more great Mother’s Day gift ideas.